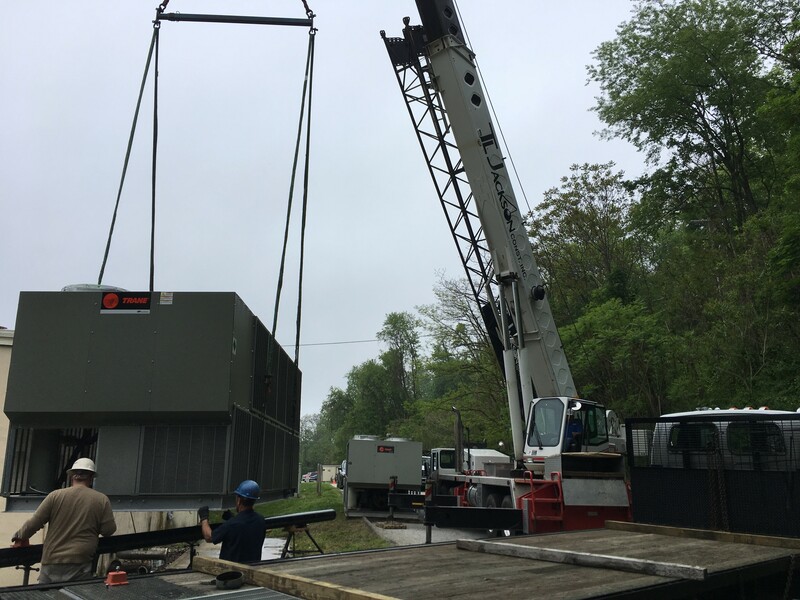 Chiller Installation - Bortner Bros., Inc.
Bortner Brothers works closely with major equipment manufacturers and local subcontractors to deliver and install chillers of all sizes. 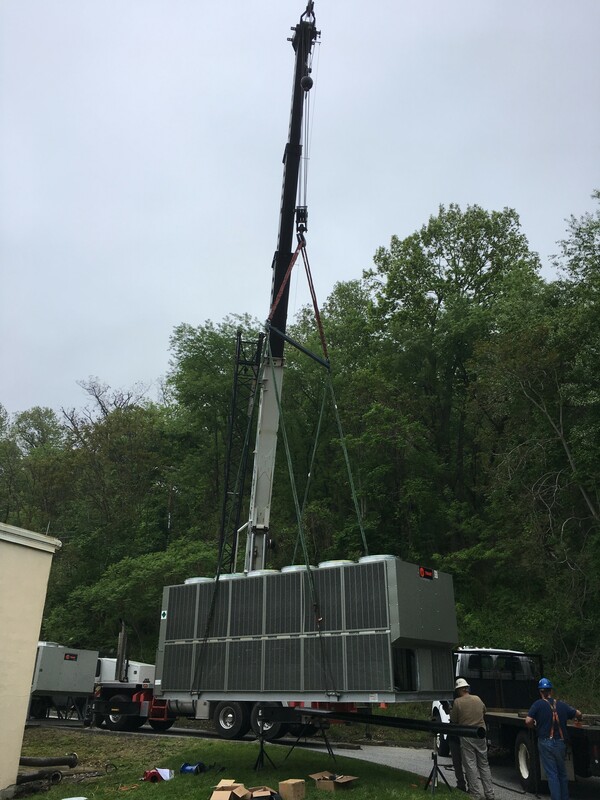 Our crew and subcontractors work with the latest and most efficient equipment to provide a clean and hassle free installation. 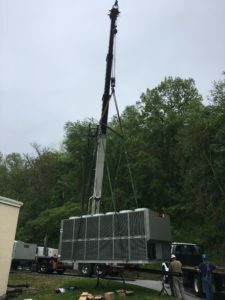 The Trane chiller pictured had been installed for the residents of the Susquehanna Nursing Center to provide them with reliable cooling throughout the hottest months. 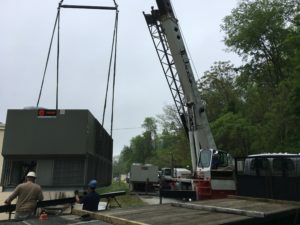 « Machinery Exhaust	» Trammell Crow Warehouse Project North East MD.